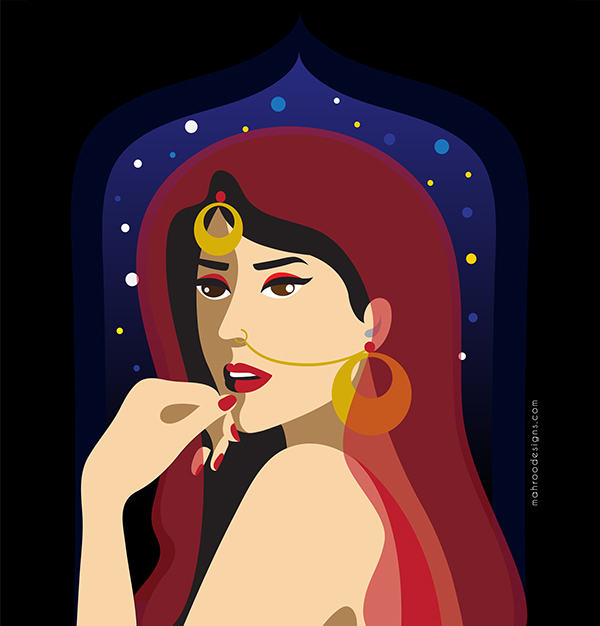 Heavily inspired by the Mughal history as well as flat illustration; Mughal Queen is a fusion of the historical as well as the very modern. This illustration is of a woman standing near the palace window and looking away from the view. She is clad with traditional South Asian jewelry to enhance the look of a queen. Another Mughal inspired artwork. Prints and cool gear available in my shop ! !